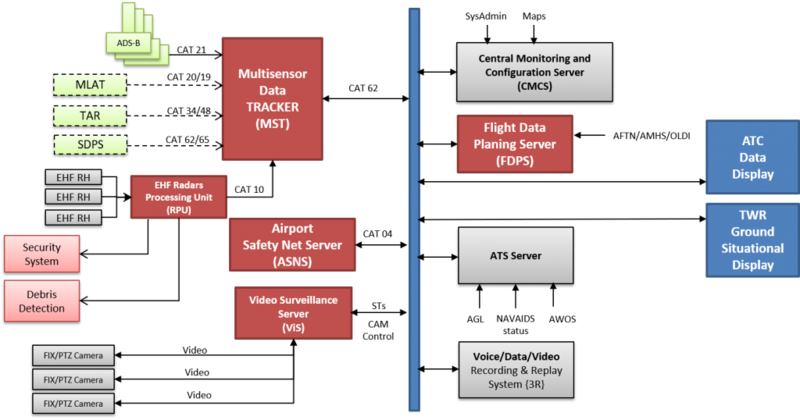 CGSS is a cost effective advanced surveillance data processing system designed to detect and track air/ground vehicles and persons over the airport operational areas on small and middle-sized airports. It has been developed in compliance with ICAO and EUROCONTROL standards to provide the controllers with integrated air and ground picture within defined area. In addition, it conveys aeronautical and meteorological information, and offers tools for aircraft vectoring and Airport Safety Net tools. Provide Runway Incursion Monitoring and Collision Avoidance System – detection and tracking of conflict events that may result from a breach of permitted separation minima between moving objects (departing/arriving aircraft, ground vehicles, unauthorized unknown objects). 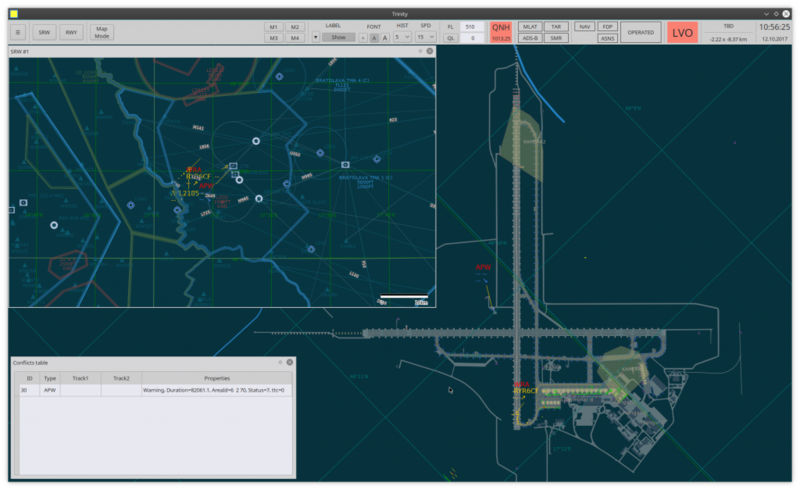 Parameter values of the conflict calculation are set up based on the airport layout as well as current values of NVO, LVO. Mitigate safety risks caused by an incursion of operational airport areas and/or failure to keep a required separation between mobiles. CGSS Safety Net Server provides warnings and alerts within a controlled area in case conditions for conflict occurrence are fulfilled, both as short term conflict warnings (Minimum Safe Altitude Warning, Area Proximity Warning, Route Adherence Monitor) and Runway Incursion Monitoring and Conflict Alerts (RMCA) such as approaching/arriving aircraft, obstacles on RWY, departing aircraft crossing, stop bar crossing, incursion in restricted area, vehicle on RWY or safety strip, opposite traffic alert, arrivals/departures to wrong RWY or intersecting RWYs.